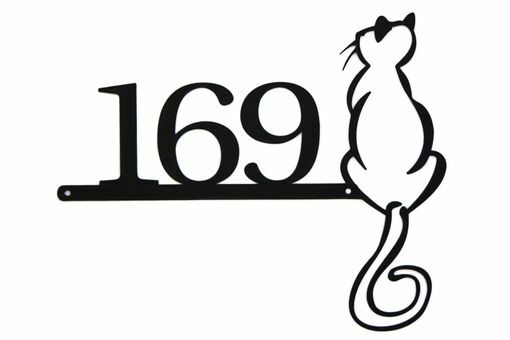 Our custom cat metal house number is laser cut from quality, heavy duty 12 gauge steel. 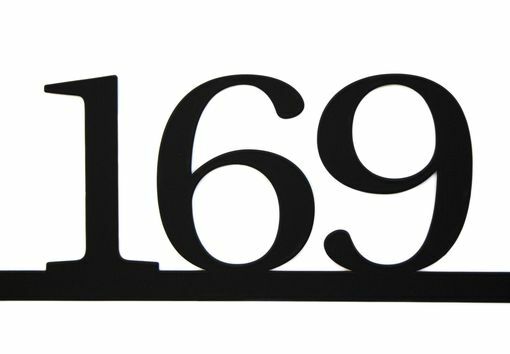 Includes 3.5"h house numbers that are easy to view from the street. 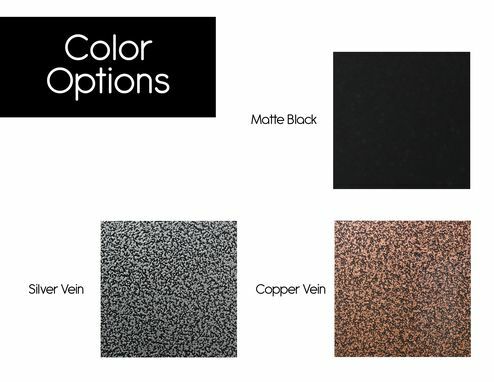 With powder coat, your sign is protected from every kind of weather. 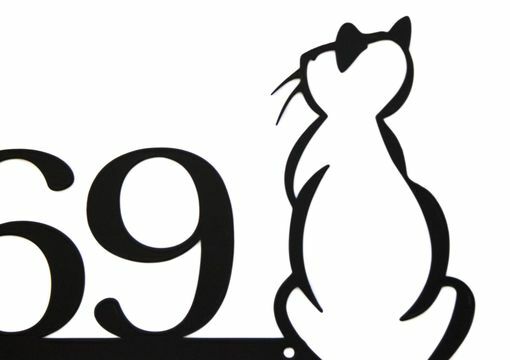 This cat silhouette adds a bit of charm to your house number. Perfect gift for any cat lover you know! 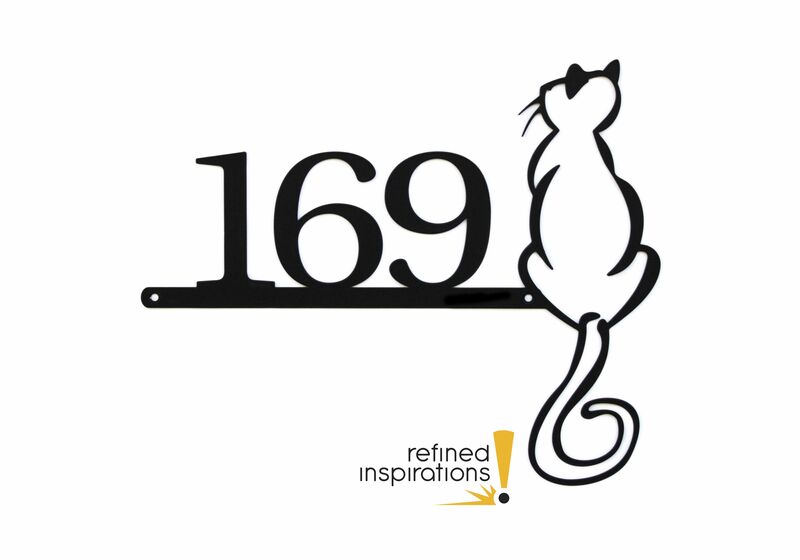 We ordered a house number with a silhouette of a cat It’s so unique and different. We just put new siding in our house and we’re looking for something different. The quality of the piece was excellent and they made it and shipped it so fast. We received it in less then a week. They take great care in packing and shipping. We will defiantly be repeat customers. Thank you so much we love it! !